Join us for a special volunteer workday at Malcolm X Memorial Park in West Philly followed by a brief address from Mayor Kenney and other Philly VIPs! 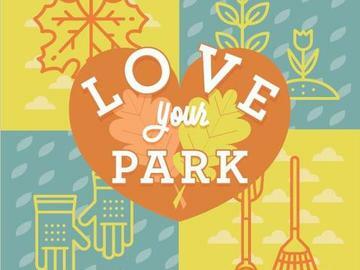 Every year, Fairmount Park Conservancy and Philadelphia Parks & Recreation host the LOVE Your Park Fall Service Day, a citywide volunteer day that engages over 2,000 volunteers to clean, green, and celebrate neighborhood parks across Philadelphia. But this fall, we're doing something extra special - inviting young involved Philadelphians to join us for a special workday and an extra-special networking, problem-solving, and idea-generating chat about Philly's parks! 10:00am-12:00pm: After a tasty (and free!) bagel and coffee from Schmear It, we'll spend the morning working with community members and volunteers from our sponsors to clean and green Malcolm X Memorial Park in West Philly. Work will include planting trees, raking leaves, mulching and pruning young trees, cleaning up trash and litter, painting, and more. All tools and materials - as well as some excellent volunteer leaders - will be provided. Volunteer sign-in and breakfast start at 9:30am. 12:00 - 12:30pm: Want to know what our city's leaders have to say about Philly's parks? Join us for a brief press conference with VIPs like Mayor Jim Kenney, Councilwoman Jannie Blackwell, State Senator Anthony Hardy Williams, and State Rep Joanna McClinton.